The search continues Tuesday for suspects involved in a brazen attempted robbery in Walnut Creek. Last week, three men dressed as construction workers walked into the OC Watch Company. One of the suspects handed a clipboard to the owner of the store. When the owner looked down at the clipboard, the suspect pepper sprayed him. Another man then broke a display case with a bat. The store owner and a nearby customer managed to scare the men off before the men escaped empty handed. 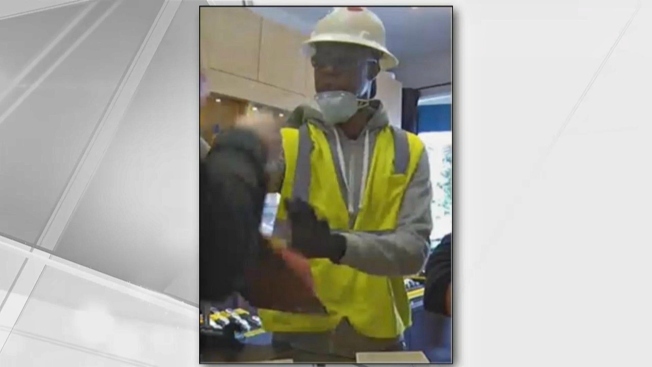 Walnut Creek police are looking for three suspects who disguised themselves as construction workers and pepper sprayed a store clerk in an elaborate, but ultimately failed, plot to steal luxury watches. According to police, two men donning hard hats, dusk masks, and yellow construction vests entered the OC Watch Company on Cypress Street — a pre-owned store that sells high-priced brands like Cartier and Rolex wristwatches — just before noon Thursday. The report says a third suspect was spotted wearing the same garb outside, loitering near the door with a black backpack. Once inside, police say one of the suspects approached the store owner, handed him a clipboard, and asked him to sign a release to shut off power to the building. When the store owner looked down, the suspect allegedly pepper sprayed him and a nearby customer. The second suspect then smashed a display case with a baseball bat, according to police. The suspects were unable to skirt off with any merchandise because the store owner “scared” them away. Police did not describe what tactics the owner used to frighten them. The suspects, all three of whom police describe as men standing 6 feet 2 inches tall, bolted into a black, late model Dodge Challenger with silver rims and black paper plates. Police are asking anyone with information about the crime to call Detective Bill Jeha at 925-256-3518.